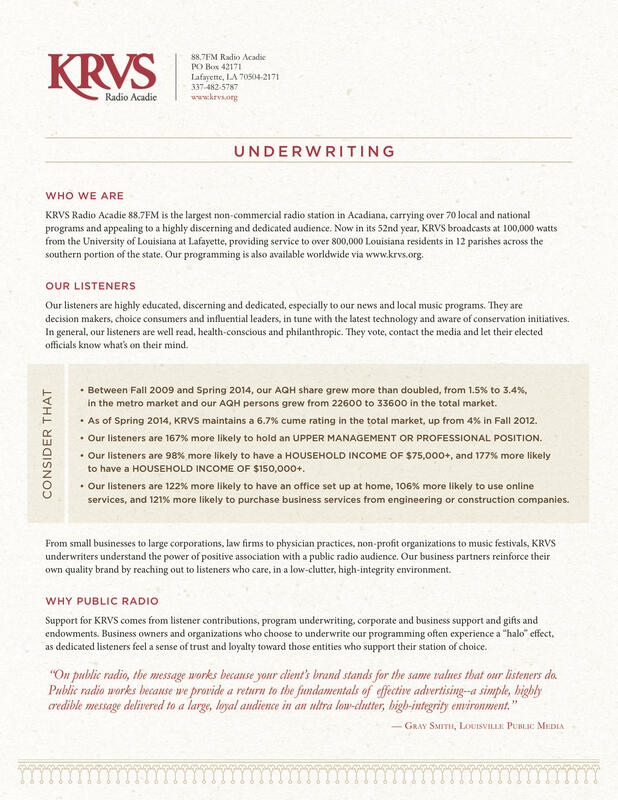 KRVS partners with regional and national businesses and non-profits to underwrite over 70 programs, including Morning Edition, All Things Considered, Blues Box, Zydeco est pas salé and more. Businesses benefit through targeted, on-air messaging directed to our dedicated and discerning audience. Moreover, underwriting fees paid to KRVS may be tax-deductible. To find out how to support your favorite programs on KRVS, view the image below or call us at 337-482-5787 and ask about underwriting.